Apple announced earlier this week it’d be launching an app development camp exclusive to female-led companies and developers, as a way of encouraging women in app development and cultivating their talents. To be eligible, the organization must have one woman founder, co-founder, or CEO, and have at least one woman on the development team. According to the application page, both the founding member and a female developer must be on the team of three that attends the camp, along with a third member of any gender. Apple is committed to helping more women assume leadership roles across the tech sector and beyond. We’re proud to help cultivate female leadership in the app development community with the new Apple Entrepreneur Camp, and we’re inspired both by the incredible work that’s already happening, and what’s sure to come. Women leave tech at alarming rates, since they are not encouraged or supported near the levels of their male colleagues. When women look around, they see that it’s not them personally; it’s inherent to the tech industry. That’s discouraging, so they choose to leave the field. She’s not kidding. According to a study published last year, women in tech are leaving their field at a 45 percent higher rate than men. HackerRank’s 2018 Women in Tech report shows women are far more likely to remain in junior level positions than men of the same age, and a recent Indeed survey showed 46 percent of women in tech believe they’re paid less than men. Technology built by more diverse teams will work better for the entire marketplace. 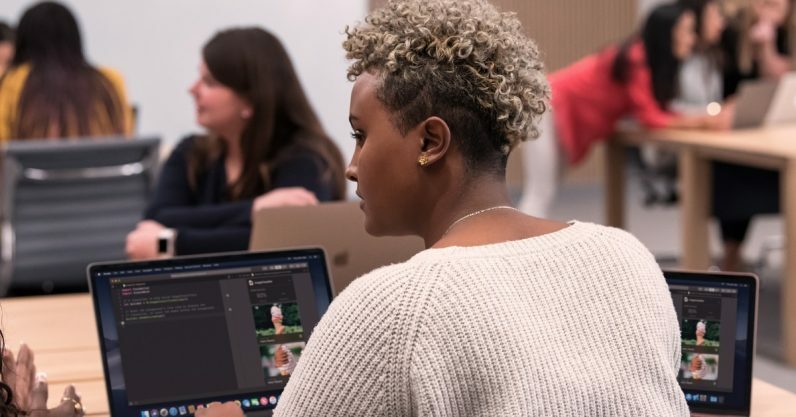 By providing support to women-founded and women-led businesses, Apple is helping ensure that technology works better for the entire community… This program will provide encouragement, something tangible, that shows that women are appreciated and valued. The more women see other women being supported and, likely better succeeding because of it, the more they will be encouraged to remain in the tech field and add their unique and important talent and perspective to the field. According to the application page, the Camp will hold quarterly sessions, each (except for the pilot session) having a cohort of twenty companies. The first session will begin on January 28 next year.